Elon Musk’s latest venture ‘The Boring Company’ is not just a concept anymore, since we saw his first test tunnel from the inside on a super-fast ‘electric sled’ last week. These low diameter, low-cost, fast-to-dig tunnels are potentially capable of becoming Hyperloop tubes enabling speeds of more than 600 mph (~965 km/h). Update: Elon Musk gets approval to build Hyperloop tunnels from New York to Washington D.C. The above video released by Elon Musk last week shows how fast an electric-sled can move inside the controlled environment of a low diameter tunnel. Although Elon Musk’s vision for tunnels goes beyond a single tunnel, it would be layers under layers of tunnels forming a 3D network (see picture below). 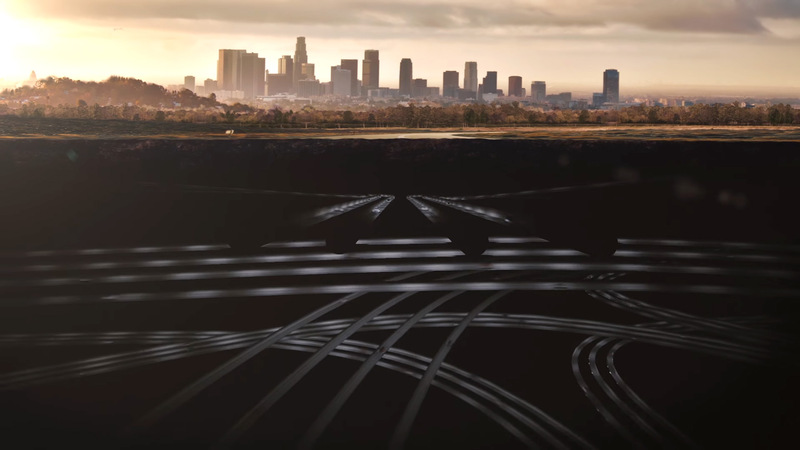 Elon Musk believes there is virtually no limit to how many levels of tunnels you can have. Having multiple levels will eliminate traffic congestion inside tunnels itself otherwise having a single tunnel will have the troubles of a subway. Listening to the first part of Elon Musk’s TED 2017 (video below) will surely help in grasping his idea of how far we can go with boring. The Challenge: How Deep Can We Dig? In reality we can dig until the earth’s crust allows us to dig. 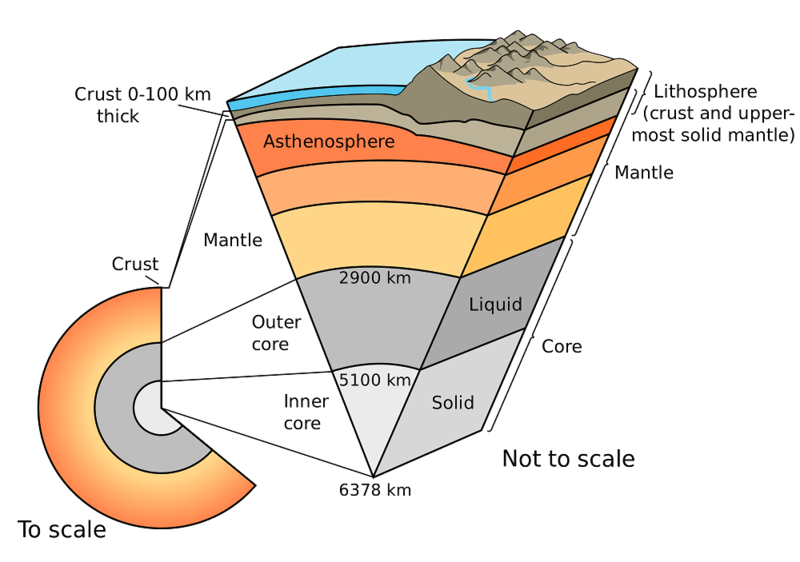 The upper crust of Mother Earth consists of many layers (see below infographic) and is max 100 km (~62 miles) deep and the water table level varies by location and can be up to 80 meters deep. You can go to any arbitrary number of tunnels any number of levels. 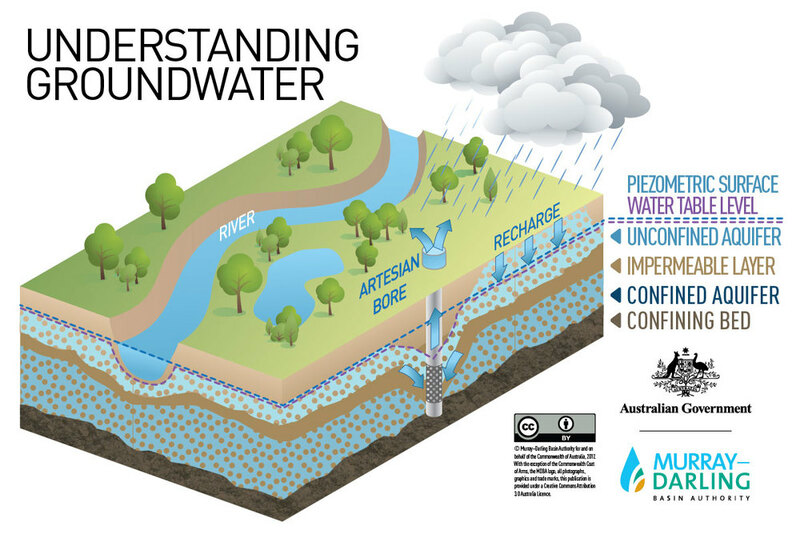 According to a study California and surrounding States are in a deeper water table zone i.e. 40-80 meters (see below) so the 3D tunnels digging will start at water table depths. So the world’s tallest building, the Burj Khalifa in Dubai is 821 meters tall and according to Elon Musk ‘the deepest mines are deeper than the tallest buildings of the world’, we can easily have about 50 to 90 levels of tunnels remaining in the limits of Earth’s crust. Converting the Tunnels to Hyperloop Tubes? The answer is simple if you add a vacuum shell to the tunnel the same electric sled becomes a Hyperloop pod and can gain up to 600+ mph of speed and transport the vehicles, goods or people in a fraction of time required otherwise. According to Elon Musk If a tunnel is able to resist the water table, Hyperloop is also viable for the same tunnel. Chris Anderson: You can picture then, a Hyperloop in a tunnel running quite long distances. Elon Musk: Yes. Exactly. So in looking at tunneling technology, it turns out that in order to make a tunnel, you have to… In order to seal against the water table, you’ve got to typically design a tunnel wall to be a good to about five or six atmospheres. So to go to vacuum is only one atmosphere, or near vacuum. So actually, it sort of turns out that automatically, if you build a tunnel that is good enough to resist the water table, it’s automatically capable of holding vacuum. So yeah. The dream of reaching New York from Washington D.C. in 30 mins is a fascinating one and might become a reality in a few years if The Boring Company is successful in demonstrating it’s first concept in LA. Are Tunnels Safe In Earthquakes? After starting the next revolution in the auto-industry with Tesla, Elon Musk now intends to disrupt the construction industry specially tunneling business where there has been no significant advancement in past five decades or so. Some media outlets and conventional thinkers are skeptical of this ambitious dream but The Boring Company is seriously moving to the next step and have started hiring engineers, designers and TBM (Tunnel Boring Machine) operators through their website.